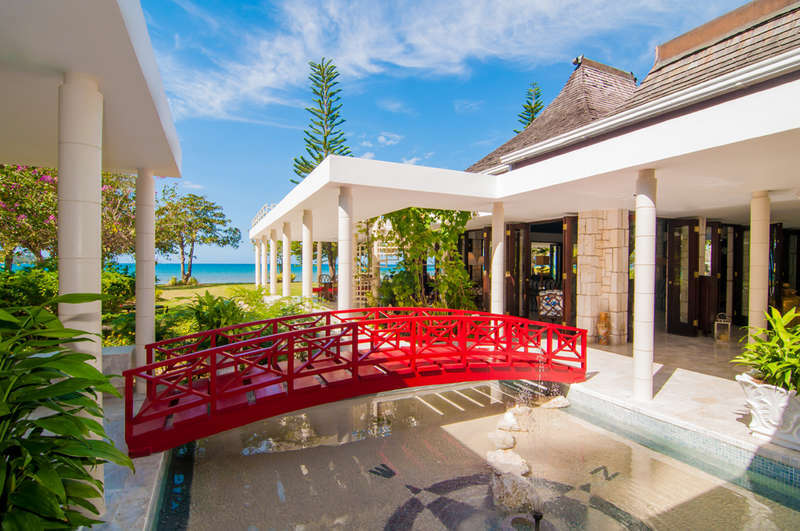 Montego Bay villas are an outstanding choice for anyone seeking all the beauty of the Caribbean Sea and all the spice of a Jamaican vacation without worrying about running out of things to do. There is a seemingly endless array of great places to satisfy even the most diverse of groups. The north-west coast town of Montego Bay is Jamaica’s second largest city, and a top resort destination. If your villa is located close to the international airport, so are the beaches. Part of the beauty of Montego Bay is that everything is very close by: restaurants, reggae music hotspots, chic boutiques, dynamic marketplaces, premier golf courses, and great diving, snorkeling, and water sports spots. Montego Bay’s upbeat, hospitable, sun-soaked, calypso rhythm offers visitors great beaches, pristine ocean views, and a sense of rich history in the form of forts, plantation houses, and 18th-century churches. There is also a bird sanctuary, several art galleries, and a straw market. Or simply spend time on the private terrace of your luxury villa rental. Our luxury vacation rentals in Montego Bay—many of them overlooking the city from the lush Blue Mountain slopes, and others boasting direct beach access—are an incredible way to enjoy this tropical holiday haven and all it has to offer. Montego Bay’s Gloucester Avenue is chock-full of shops, bars, clubs, great people watching spots, and authentic Jamaican restaurants. The Pork Pit Restaurant is known for having the best jerk chicken in the area. Also worth trying is ackee and saltfish, a signature Jamaican dish. Expect fun crowds, loud music, plentiful rum cocktails, dancing, and an all-around great party. Margaritaville, Blue Beat and Pier One are all great places to dance, and they serve fantastic food and drinks. If you are in the mood to dance all night you can, as luxury vacation rentals in Montego Bay are all quite close by. Montego Bay has some stunningly scenic beaches, such as Doctor’s Cave Beach, one of the most popular beaches on the island thanks to its white sand and clear water. It happens to be a great place for the entire family to enjoy the day. For the adventurous of spirit, Montego Bay offers a wide range of outdoor activities including parasailing, horseback riding, and hiking. The nearby popular resort town of Ocho Rios offers plenty of places to go swimming with dolphins and is a fun day trip. Or, view our luxury villas in Ochos Rios to plan a possible second leg of your trip. Montego Bay is also home to some of the most luxurious Jamaican golf resorts, including the Tryall Club and Round Hill. If you are looking to tee off, you have come to the right place. Montego Bay boasts several famous courses, and golf opportunities are abundant, particularly at Tryall Club, which features an impressive championship course, though there are several other prominent courses nearby as well. Our Tryall Club luxury vacation rentals are an excellent idea if you want to wake up to the game. Croydon Plantation is approximately thirty minutes away by car. Located in the heart of the Catadupa Mountains, this expansive coffee and pineapple plantation is well worth a visit. The Centerstage Theatre is excellent for family-friendly musicals, which are shown regularly. The legendary Rose Hall in Montego Bay is also popular with visitors. The famous Georgian style mansion, built in the 1770s and since refurbished, has a stone base and plastered upper storey, and rests high on a hillside, with a glorious panoramic view of the coast. It is widely regarded as a very visually-impressive house and compared appearance-wise to a handsome Italian villa. 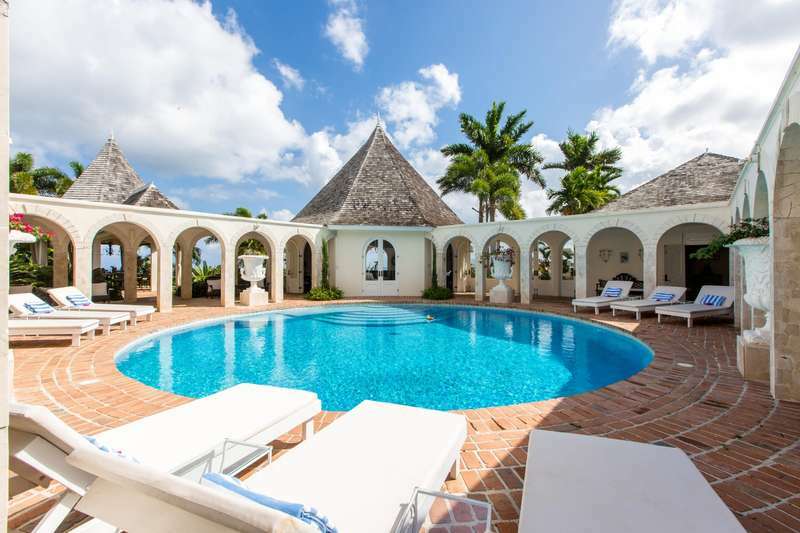 Villa-lovers and homebodies be advised: it is well worth temporarily setting foot outside of your own luxury villa rental in Montego Bay to witness its splendour. Jamaica has a proud and rich history, and many of Montego Bay’s annual events reflect that. These include the Reggae Sunsplash Festival every July, which features all of the top Jamaican reggae artists; September’s Stir It Up Expo, a beach battle starring some of Jamaica’s best musicians and spoken word artists; and the Jamaica Cricket Festival in December, which showcases Jamaica's most widely-viewed sport by featuring live matches starring some of the top players in the country. Getting to Jamaica is easier than most other Caribbean Islands. There are many direct flights from Europe, the US, and Canada. Sangsters International Airport in Montego Bay is one of the two main points of access, the other being Kingston’s Norman Rogers International Airport. Many of the major US and British airlines have regular flights to both Montego Bay and Kingston (ask our expert villa specialists for more information). Whether or not you opt for a rental car, getting to and from luxury villa rentals in Montego Bay is easy, either by taxi or minibus, and private drivers can also be arranged. The popular resort town of Ocho Rios is just ninety minutes away, and there is a shuttle bus that makes the trip regularly. At Rental Escapes, our passion is helping travellers find perfect places to stay. To find that amazing, unique Jamaica villa that’s just right for you, contact our villa experts. 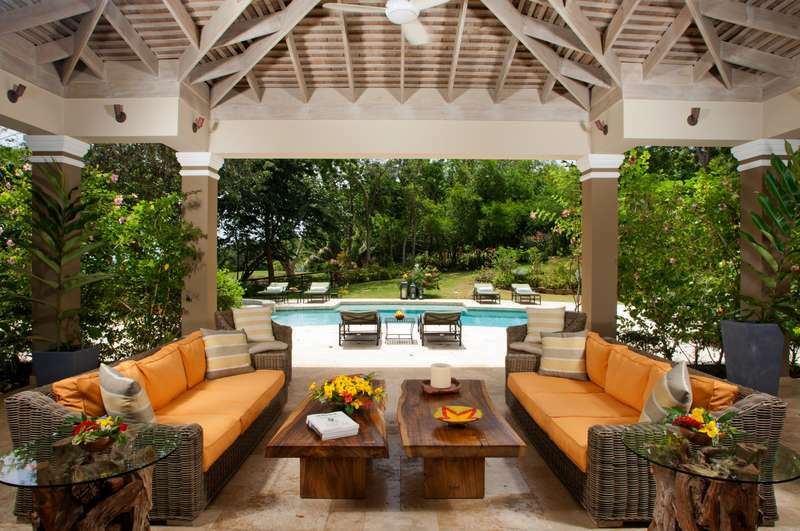 Or you might begin by viewing our full selection of luxury vacation rentals in Jamaica. 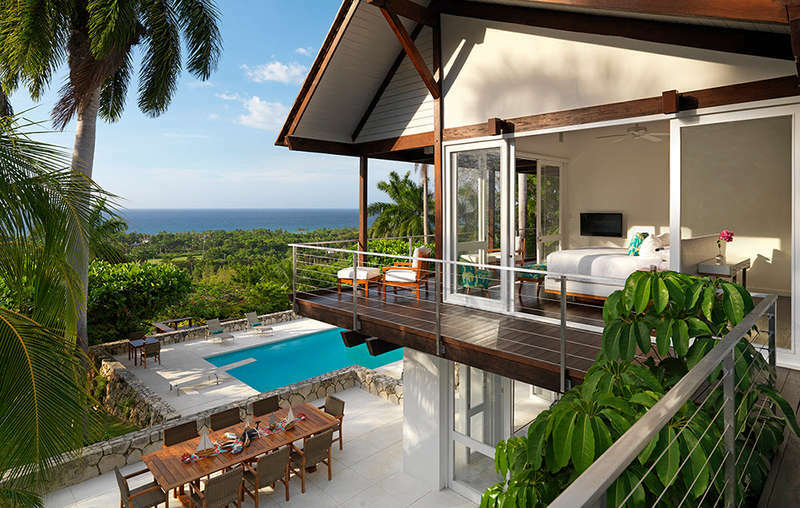 Our villas in Montego Bay feature spacious terraces, lush gardens, and stunning ocean views. Private cooks, housekeepers, or any other kind of assistance you may need can be easily arranged upon request. Whether you are on a holiday with friends, a family vacation, or the honeymoon of your dreams, there's a home away from home available to you in one of our majestic luxury vacation rentals in Montego Bay. Contact us for expert help with getting the most out of your upcoming tropical getaway. Jamaican Dollar, though US Dollars are widely accepted. Jamaica has a strong tipping culture, as wages tend to be low while living costs are high, and in general a tip is considered a great way of showing “respect” for a job well done. While some restaurants include a gratuity charge of 10%-15%, a tip of 10%-18% is expected in restaurants that do not. It is also important not to confuse a gratuity charge with a service charge of 10%, as many restaurants will add the latter but it does not go to servers. Bellhops expect $1-$2 per bag, while maids and housekeepers expect $1-$2 per day. For a fully-staffed villa, guests are expected to give 10% of the price of the villa in high season and 15% of the price of the villa in low season, which is usually paid cash. A 10%-15% tip is also expected by private drivers taxi drivers, and bus drivers. Small gifts, especially items that are hard to get in Jamaica, can be substituted for tips at the tippers discretion. Otherwise, tips are given in cash (in either US or Jamaican Dollars) and handed directly to the person being tipped.